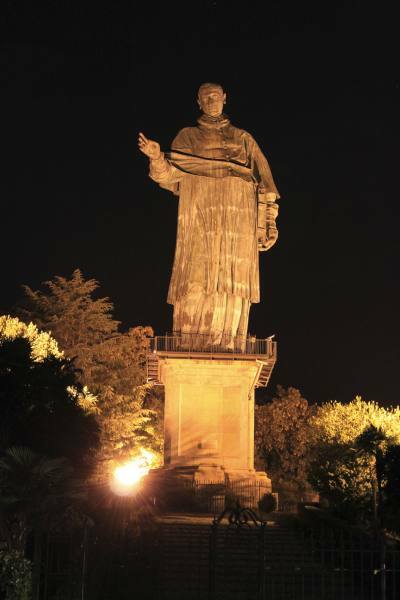 The Sancarlone or San Carlone in Arona is a colossus made with copper and bronze sheets built in memory of Saint Charles Borromeo. 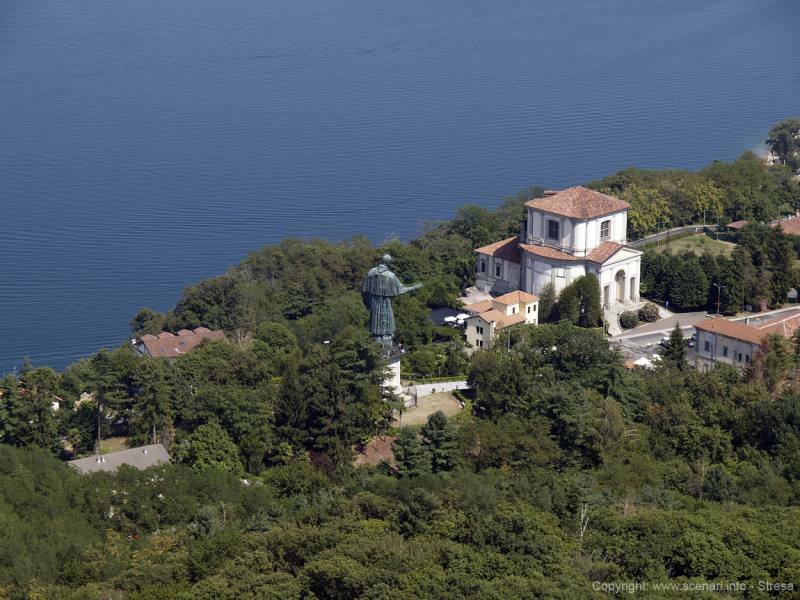 The holy bishop of Milan from 1560-1584 (year of his death) was born precisely in Arona in 1538 between the walls of the then flourishing Rocca di Arona (Arona fort), the most important fort in the southern area of Lake Maggiore. The colossus dedicated to Saint Charles rises on a hill behind the city, just out of town, along the road climbing towards the Alto Vergante area. 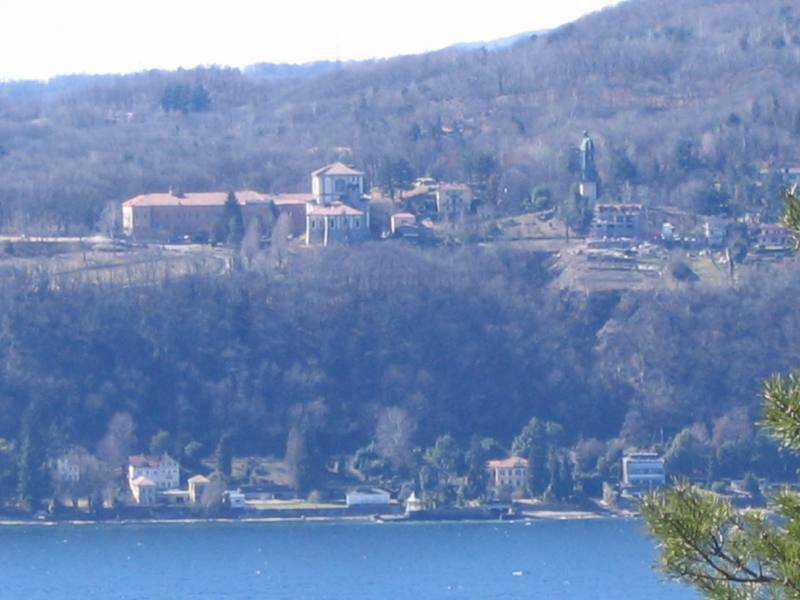 It can also be seen from the lake and from the Lombard shores of Angera and Ranco. 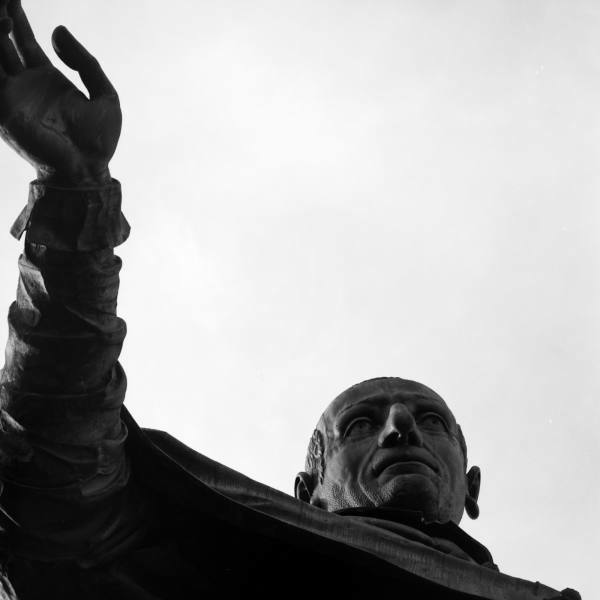 It is 23.40 metres high and sits on a 11.70-metre high pedestal. 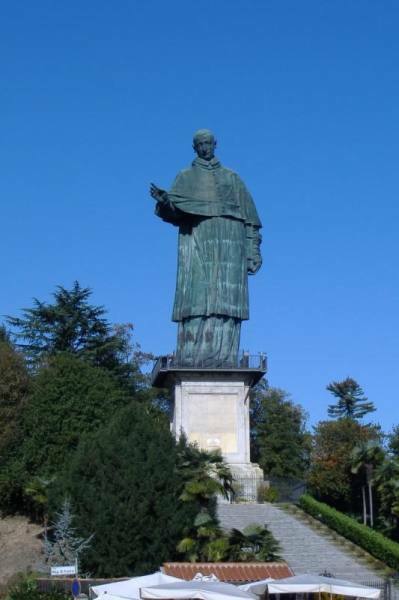 The colossus was built in 1697 by Bernardo Falconi and Siro Zanelli based on the models by Il Cerano. 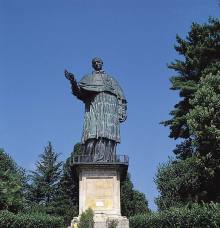 In 1610, Saint Charles was canonised and it was his cousin Cardinal Federico Borromeo (also known for being one of the protagonists in the vicissitudes told by Manzoni in his The Betrothed) who wanted to dedicate a sacred mountain and a statue to his admired predecessor – the Colossus of Saint Charles Borromeo later nicknamed Sancarlone. Two centuries later, the statue of liberty (which was designed by Frédéric Auguste Bartholdi and made by Gustave Eiffel) was assembled in New York (now one of the symbols of this American city). 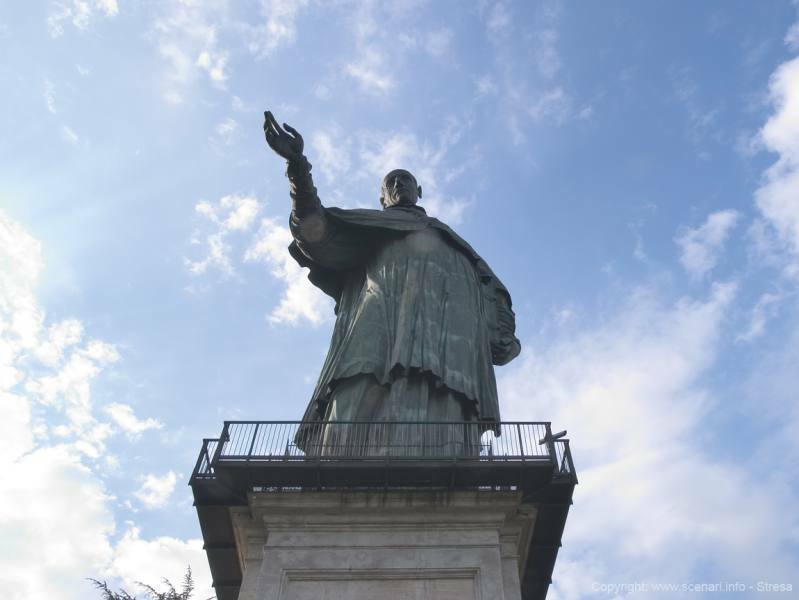 The project was inspired by two sources: the Colossus of Rhodes known only from the stories of ancient times, and the Colossus of Saint Charles Borromeo, which by then was already in Arona. 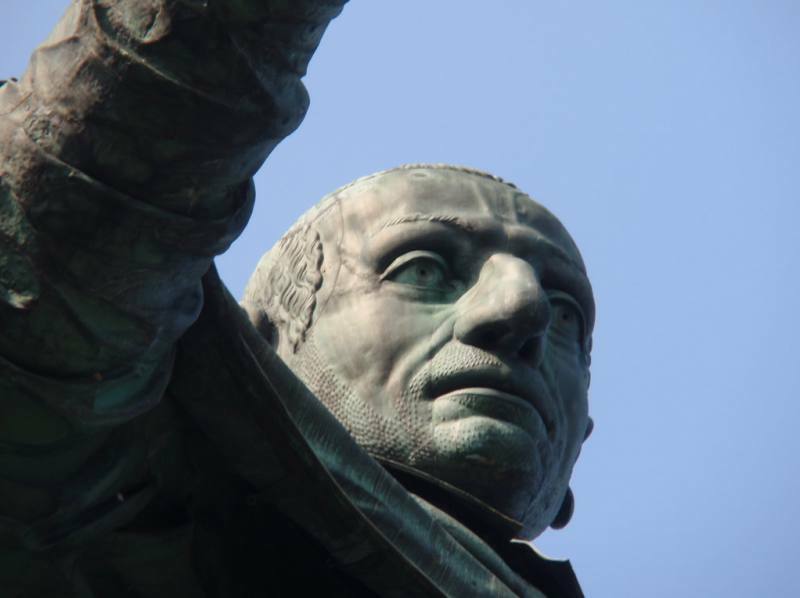 Its dimensions were approximately half of those of the American statue. Sancarlone can also be toured inside. There are two small stairways leading to different parts of the head, where there is room for up to 6 people. People take turns and the climb is not for everyone. Visitors can climb up a few at a time and look out the statue’s windows. The view of the lake from the saint’s nose, ears and eyes/window is unique and fascinating. Once the tour is over, continue up the hill to Arona’s two hillside hamlets of Montrigiasco and Dagnente.